Kate Long is the author of seven novels. Her first, The Bad Mother's Handbook, was a number one bestseller, was serialised on Radio 4, nominated for a British Book Award and turned into an ITV drama/DVD starring Catherine Tate. She has since written six more novels: Swallowing Grandma, Queen Mum, The Daughter Game, Mothers and Daughters, Before She Was Mine and - the sequel to The Bad Mother's Handbook - Bad Mothers United. 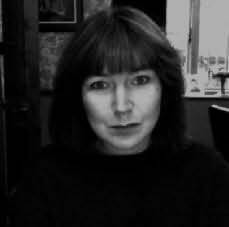 Kate's stories tend to focus on family drama and relationships between the generations, and her earlier work was heavily influenced by her Lancashire upbringing. "I galloped through this book - couldn't stop once I'd started. The writing's so spare and yet the message so complex. It's spiky, sparky, pithy, and deep." "A zingy fruit salad of a novel - refreshing, colourful, and occasionally sharp to the taste!" "An absolute treat to read. I haven't been so captivated by a writer's voice since I read Kate Atkinson's "Behind the Scenes at the Museum". Annabel Dore's going straight onto my list of favourite authors." "Like a glass of Frascati after a long day. Delightful." "An absolute gem. I couldn't put it down." "Sun-drenched, dark and intriguing. I loved the way she painted Italy."